There are two elements to any web site contract, although these are often combined in various offers. First, the Domain Name (often described as URL or Uniform Resource Locator) – the web site address that will locate your web site on the internet. There are various issues relating to the name and also the country or site extension that you can use, and inevitably, availability of the name you would like to use will also be a factor. This is discussed in more detail HERE. Free ISP name or your own Domain Name? If you have an internet contract you will usually have the option for free web space. This has the advantage that it is free. The main restriction will be the name that you can call the site – it will be what is called a sub-domain of your ISP. Thus your ISP’s name will be part of your main address.A domain name of your own is not expensive – you should allow about €10-€15 per year for the registration of the name depending on the type of URL you choose (eg .com, .fr etc).To retain it you will have to pay this every year but it will often come with web space for your site too, so if you move and want to keep your web site then nothing changes, including any literature you produce. Most ISPs who provide domain names will have free lookup facilities where you can see if your website name is currently available. OVH (largest French provider) has an English version HERE. In order to assess what your hosting requirements are it is useful to know whether you want to change the content of the website on a regular, or even per viewer, basis or you are happy for the site to remain static from day to day with infrequent updates or additions. In the case of a static site you can simply write the details of each of your web site pages in html and attached links to any pictures, logos and other pages on your site and store these as files on your web space on the server.A visitor types in your address and then receives the html page and attachments and your browser displays them on your PC. The next visitor will be sent the exact same files and will see exactly the same information. Your web site is like a brochure or leaflet.Your PC uses a piece of software called a browser to view a web site, typically Internet Explorer, Chrome or Mozilla Firefox. The browser reads a language called HTML (hyper text markup language) and all web servers ‘serve’ web pages in this language, or a variant of HTML. Although it is possible to make it more dynamic using scripts, HTML is not suited on its own to a more dynamic site, with search facilities, contact forms or even ecommerce. For a dynamic, constantly changing site you need a processing language like PHP which can be used to perform a range of dynamic functions, from calculations, dealing with a database of records which can help with search routines, ecommerce, blogging, forums, input forms or any site where processing of data is useful.In this case the server will process the files to create the HTML web pages each time it is served to the user. The clever bit is that the server uses the PHP program to effectively write the HTML code ‘on the fly’ (a geek way of saying while you are waiting) and then the server delivers the content to your browser as HTML. Depending upon what you have input and the circumstances the HTML will be different every time – a totally dynamic web site. 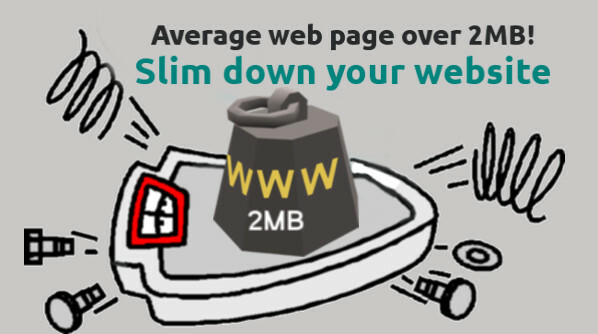 An important factor here is that many low cost shared server offers will not have the speed to provide a highly dynamic website if you get a lot of hits, but this is usually a sign of success and can be dealt with by upgrading the server hosting the website. This is where you sell things from your web site. You will need to have a number of features, for example a database. Payments on the site need to be secure and the facility to use SSL encryption (the padlock symbol in your browser) is useful, although not essential, if you take payments by Paypal or cheque.However you will need to be careful with personal information and deal with passwords.It is possible to obtain ready made programs, often written in PHP, which can deal with all of these requirements and simply be personalised to your needs.